Andre Roberts wasn’t expecting to make it to the open market. The Buffalo Bills didn't think he would either, but when that happened, General Manager Brandon Beane acted quickly to sign Roberts away from the New York Jets. In the process, Beane solved a problem the Bills never figured out in 2018. Roberts made the Pro Bowl and was a first-team All-Pro kick returner last season. Just like that, the Bills know who will handle kickoffs and punts for them in 2019. Roberts returned five kicks for 176 yards in that December game, helping the Jets to a 27-23 win. 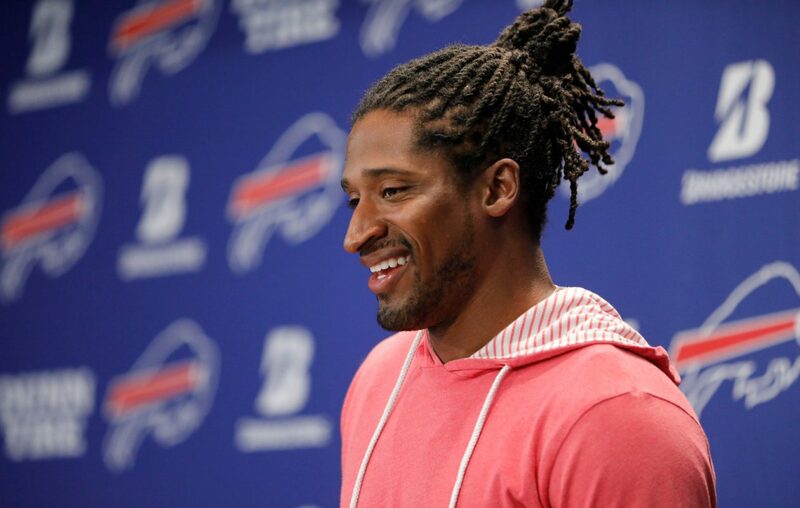 He jokingly said last week during his introductory press conference that he didn’t want to talk about that game since he’s joined the Bills, but wasn’t shy discussing how things ended in New York. The Jets opted not to bring back Roberts even though he led the NFL with 1,174 kickoff return yards (an average of 29.4 yards that ranked second in the league) and tied for the top spot in punt-return average at 14.1 yards. Roberts’ age-30 season ended up being the best of his career. He turned 31 in January. Data backs that up. According to the NFL's NextGen Stats, Roberts reached 20-plus miles per hour on 9.3 percent of his touches in 2018, the third-highest percentage in the league. Roberts played college ball at The Citadel. Bills pro scout Gerald Dixon at the time was on the coaching staff there. Roberts then entered the NFL as a third-round draft pick of the Cardinals and had four reasonably productive years as a receiver, topping out with 64 catches for 759 yards and five touchdowns in 2012. After two seasons in Washington, he’s bounced around, with stops in Detroit, Atlanta and New York the past three seasons. Roberts hasn’t had more than 188 receiving yards in a season over the last four years, but said he enters every season planning to contribute on offense. The Bills greatly improved their depth at receiver this offseason with the additions of John Brown and Cole Beasley in free agency. They join Zay Jones and Robert Foster atop the depth chart at the moment, and may still address the position in the draft. That means Roberts may not be in line for a lot of time on offense, but his contributions will still be meaningful. Having one player able to return kicks and punts is a luxury. For example, the Bills were forced to use safety Micah Hyde as a punt returner at times last season. Coach Sean McDermott surely would like to keep one of his most important defensive players away from that role. Roberts can be trusted fielding punts around the goal line – he has just three muffed punts on 196 career attempts. Rules changes designed to make the kickoff a safer play have meant fewer return attempts, but Roberts will get his chances. New Era Field, like MetLife Stadium, can get windy, meaning kickers won’t always be able to bomb the ball through the end zone for touchbacks. Dixon reached out to Roberts at the start of free agency to sell him on coming to Buffalo. Roberts will be playing for a former opponent in Buffalo. New Bills special teams coordinator Heath Farwell is just 37, and played against Roberts as a member of the Seattle Seahawks from 2011-14.